It’s hard to figure out if Chuy’s is a great Mexican restaurant that just happens to sell t-shirts, or a Dallas t-shirt printing store that just happens to have great Mexican food. Is it a candy mint or a breath mint? It’s both! Many restaurants will sell you an ugly t-shirt hoping you’ll be a walking billboard for their brand. Some even provide you with an attractive t-shirt that you’ll want to wear, like the Hard Rock Cafe T-shirts. 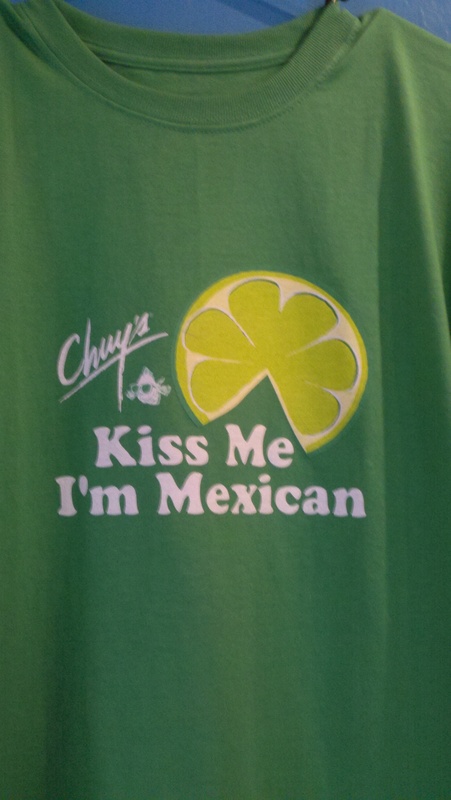 But Chuy’s takes Dallas custom t-shirts to a whole new level. They produce wearable art that you want to collect. 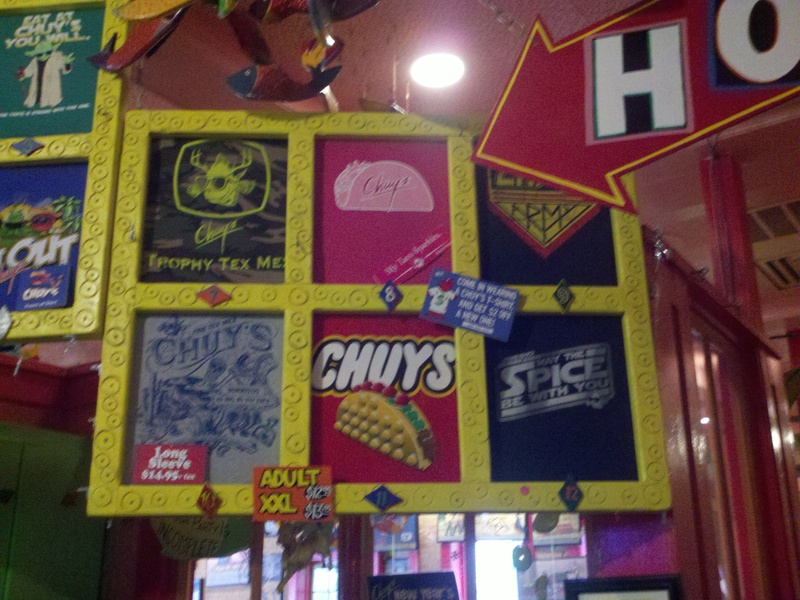 In keeping with their mission, new designs come out every month, and Chuy’s says its branded tees are more than just advertising. Custom t-shirts are a revenue source for them. They even offer special promotions for their t-shirt fans, such as a $2 discount off a new Plano t-shirts for anyone wearing a Chuy’s t-shirt. 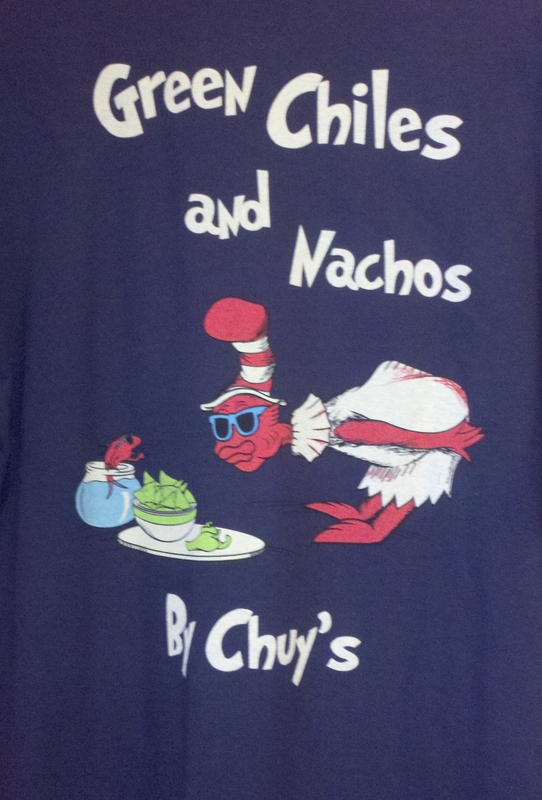 The service is great and they bend over backwards–in fact, Chuy’s will sell you the shirt off their back! Branded t-shirts are a great way to promote your brand and build customer loyalty. If you’d like to take advantage of a low-cost way to promote your business, contact Plano screen printer WikiThreads for Richardson t-shirts, Addison t-shirts or Dallas screen printing. Now That Sounds Like a Good Logo! Why Do Dentists Have Such Terrible Logos? What Does Wall Street Know About Branding?